The breeze had been gently bouncing Kate, perched at the end of the peninsula. Then she was across the cove, fishing. Quick turn around and Kate was at the nest feeding Quizzical. 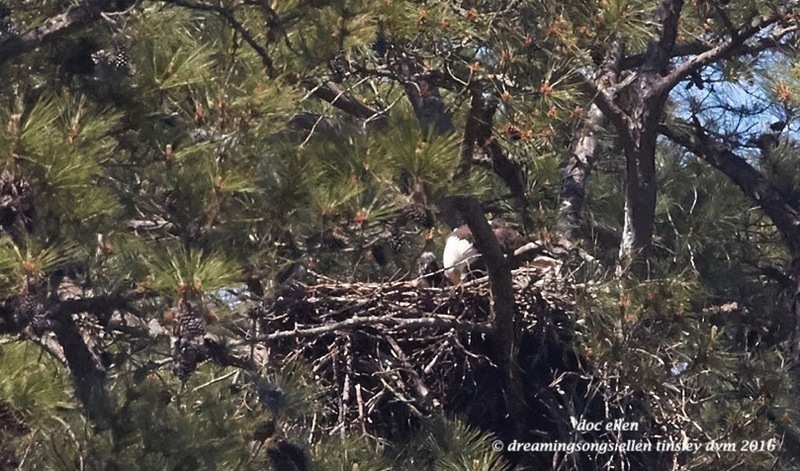 Eagle Family Report: Oh, my, my, my! 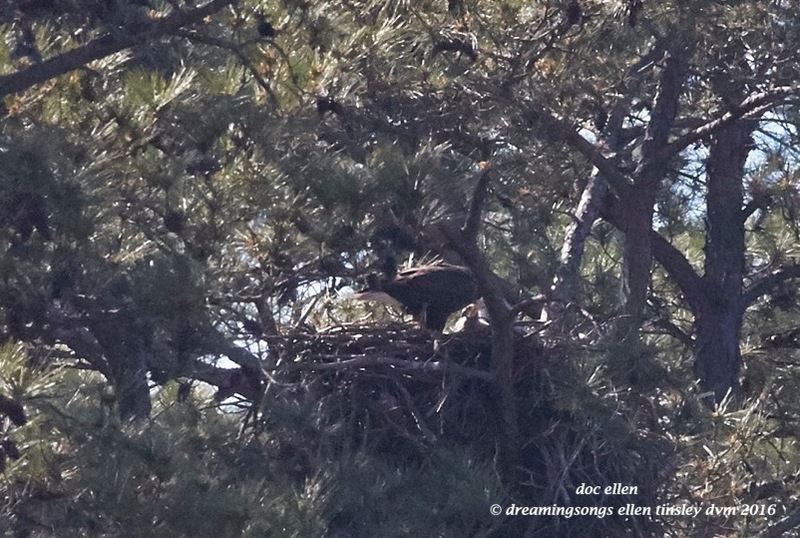 I got my first glimpse of a chick in the Eagle Family nest. That is mom Kate touching the chick with her beak. 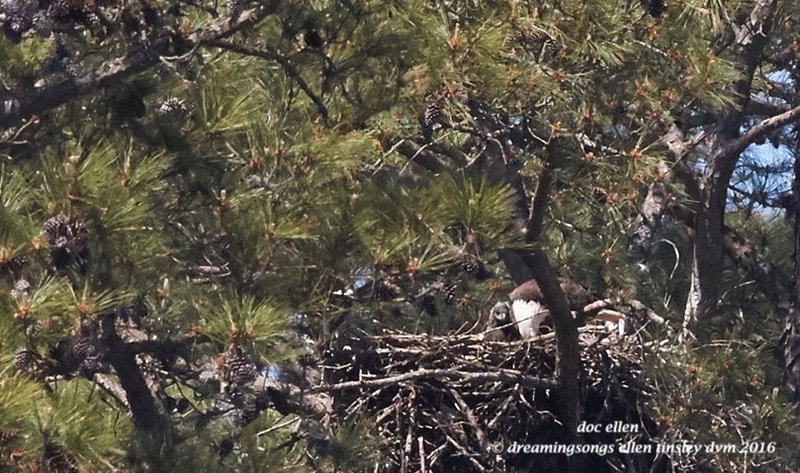 At the moment the eaglet is a light grey fluff ball with big eyes and a big beak. you can see an excellent closeup photo of a chick – wish I had the set up for that kind of photo! Kate was surveying the cove when she saw an intruder. 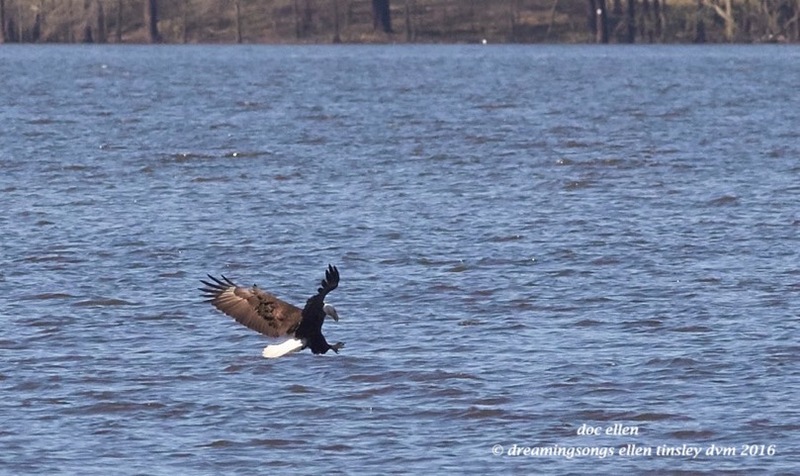 It was another fully mature female bald eagle. One I did not recognize. Instantly Kate was out of the nest and above the other female. 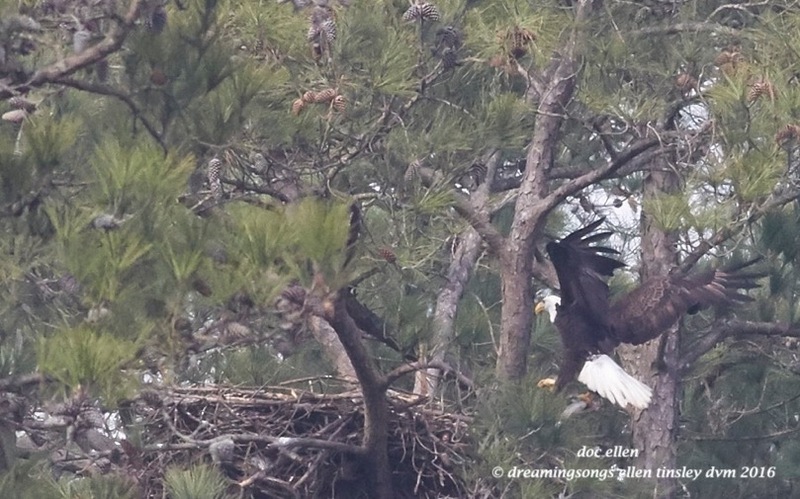 Kate stayed in the higher position, talons dangling in a threat posture. She herded the other female out of the cove. 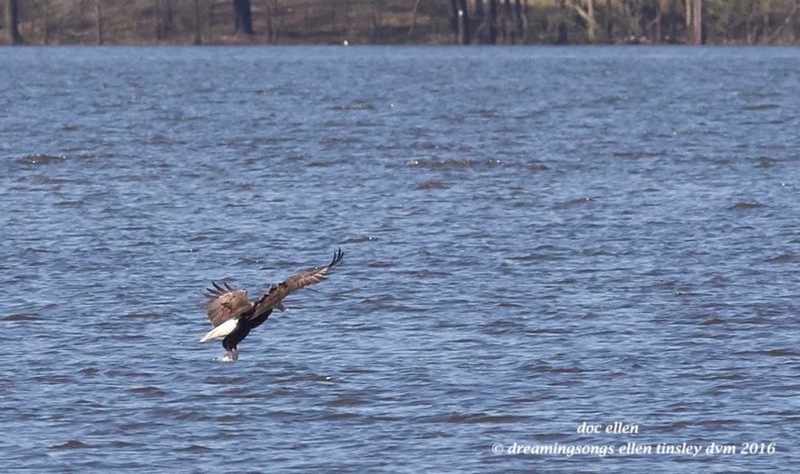 Both eagles were screaming. 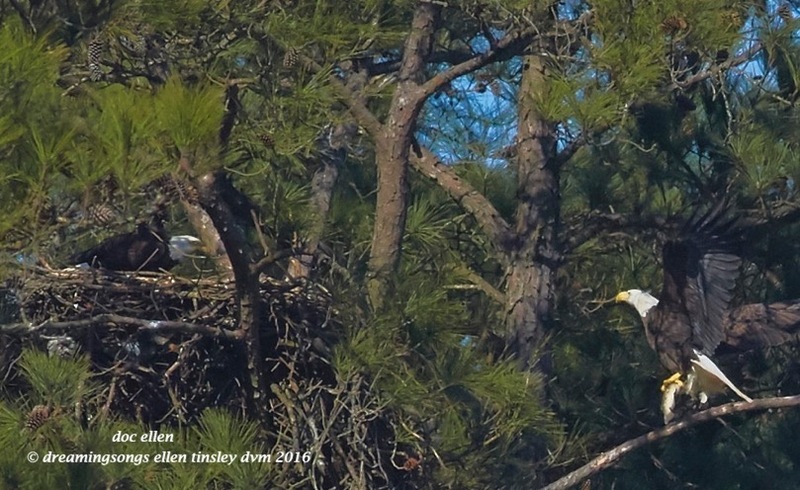 When Kate got the intruder far enough out over the main lake, she turned and bolted for the nest. 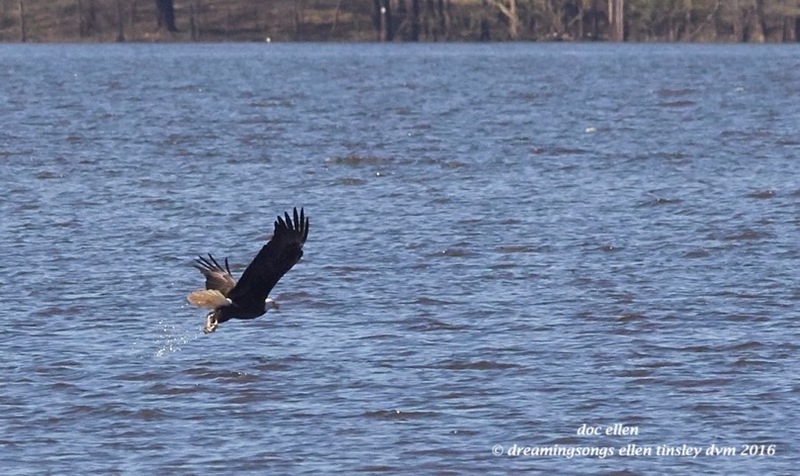 Kate, the mother eagle, returning to the nest with a fish in her right foot. 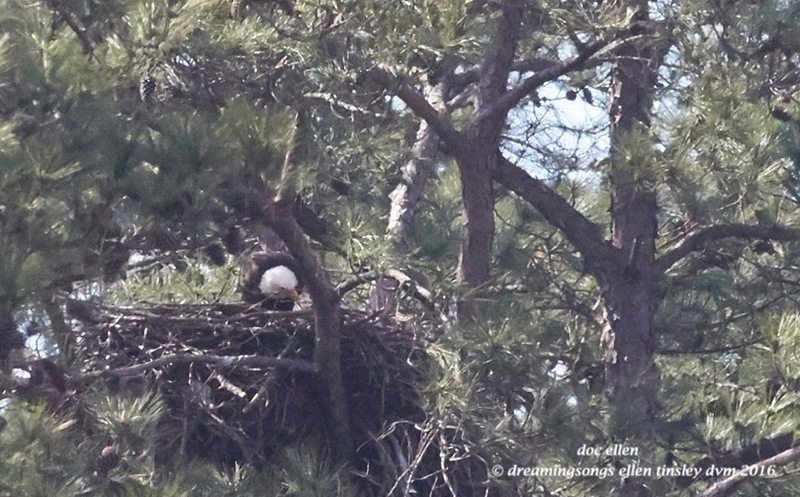 When she steps down into the nest, she will keep her toes curled under. In other words, she will walk on her knuckles to keep her sharp talons from hurting the chicks.